A work of art, in style and performance. 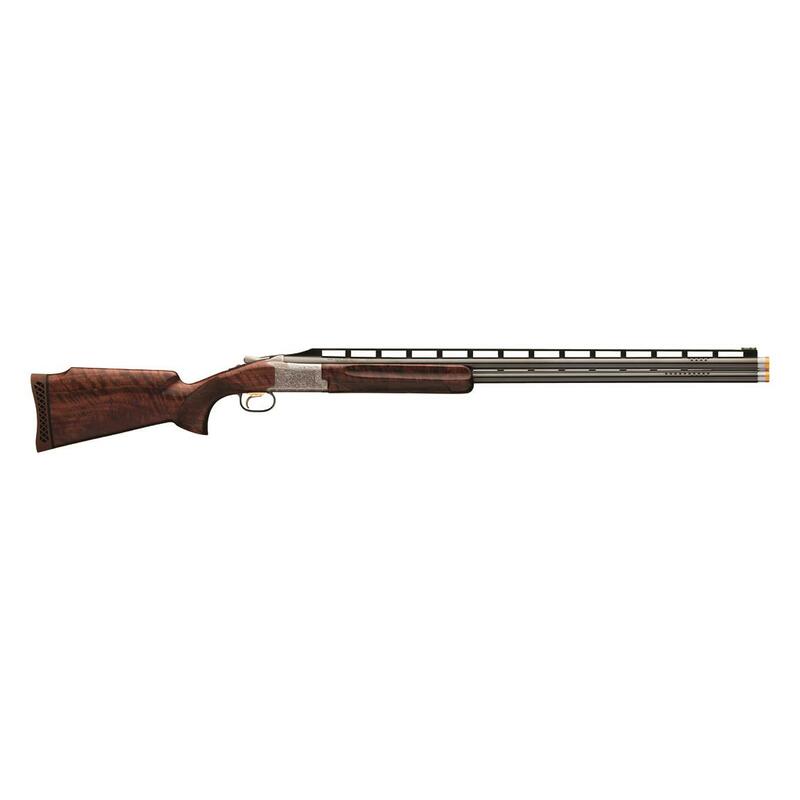 Historical craftsmanship meets modern design in what we can only describe as the finest Shotgun we've ever seen. Browning is no stranger to top-notch guns, but the Citori 725 High Grade takes it a whole new level with only the highest-quality components and production. Let's take it piece by piece. Receiver - The receiver on this year's Grade VII trap gun is a melding of modern engineering and traditional artistry. The standard Citori 725 steel low·profile receiver has beautifully intricate deep relief engraving with a beautiful and rugged silver nitride finish. Barrel - A high post floating top rib allows superior target visibility and tracking, and sits atop a ported barrel (barrel porting reduces muzzle rise, aiding accuracy-essential follow through). The top and side ribs are ventilated for superior aesthetics and barrel cooling, instrumental in reducing target obscuring heat mirage. Action - The Fire Lite Mechanical Trigger System sets the Citori 725 apart from lesser over/unders, providing a crisp break, less take up, and shorter overtravel, while providing better second-shot reliability than inertial triggers. Hammer ejectors quickly propel shells out of the chambers with a satisfyingly audible "click", allowing for quick and unobstructed reloads so you can stay mentally focused on your next shot. Stock - The Grade V walnut stock is as beautiful as it is functional. The oil finish highlights the "tiger·striping" in the wood grain, as well as the finely detailed checkering on the pistol grip and forearm. The stock is shaped with a close radius pistol grip and palm swell along with a semi-beavertail forearm with finger grooves in order to provide a secure yet not-overly-tight hold. With style to match the performance, these beautifully engraved and skillfully finished shotguns will be limited in production. Hammer ejectors propel shells quickly while providing an audible "click"
Overall weight: 8 lbs., 10 oz.